Tangiers International’s commitment to excellence and innovation has been recognised by a major industry journal for the second year running. 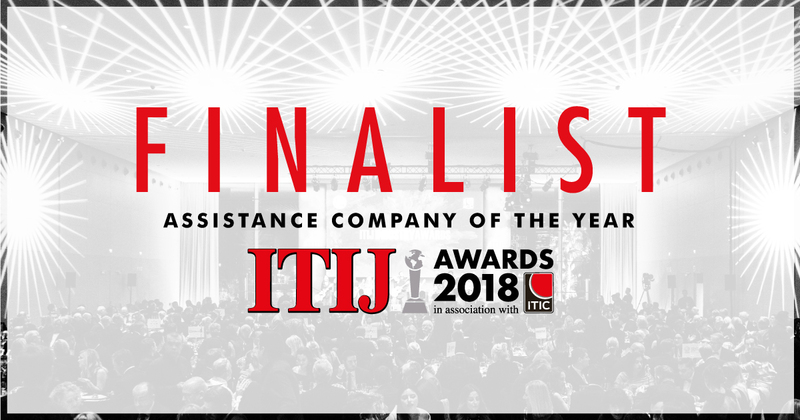 The International Travel & Health Insurance Journal (ITIJ) has nominated Tangiers as a finalist – one of only three in the category – for the prestigious Assistance Company of the Year Award 2018. The award, which will be presented at a glittering ceremony in Geneva, Switzerland, this November, highlights what the company has achieved over the past 12 months. Tangiers International operates in some of the world’s most remote or dangerous regions – ensuring claimants receive the best medical care and support possible when they need it most. With more than 100 on-the-ground field agents spread across the globe, nowhere is ‘off-limits’ when it comes to medical case management or claims handling. Jane said: “We have an international team which is able to react instantly to developing situations around the world. “That means that wherever our attentions are focused, we’ve got someone with real-world experience on the ground who can get things done – an invaluable strength in this industry. These standards include ensuring the average turn-around for claim reviews and payouts is just 2.4 days – compared to an industry average of five days plus – and that 90 per cent of incoming calls are answered within 30 seconds. “Basically, we deliver what we say we’re going to deliver, and we do not make false promises,” added Jane. Tangiers International has rewritten the book on international assistance services by utilising the cultural knowledge, professional expertise and problem-solving skills of its network of local field agents. This allows the company to deliver bespoke solutions against the clock and operate in parts of the world with poor or non-existent infrastructure, political instability or risks stemming from armed conflict. Jane said: “Basically, from an industry perspective, we turned conventional wisdom on its head. “We had the remote infrastructure of our agents in place and then gradually introduced our experienced 24/7 emergency assistance team to pull all our strengths together and ensure every base was covered. The group winners of the ITIJ Awards 2018 will be chosen by a panel of expert judges before being announced at the ITIC Global Finale Dinner on Thursday, November 1.